The 5V-3.3VReg Board is an accessory board that includs an on-board regulator. This regulator is used to provide local on-card regulation by reducing voltage from 8-16V AC/DC to 5V or 3.3V DC. The board includes LM7805 - 5V voltage regulator and MC33269DT–3.3 - 3.3V, 800mA, Low Dropout Voltage Regulator, providing fixed supply voltages. It features two voltage input options: a screw terminal connector, and AC/DC adapter connector. 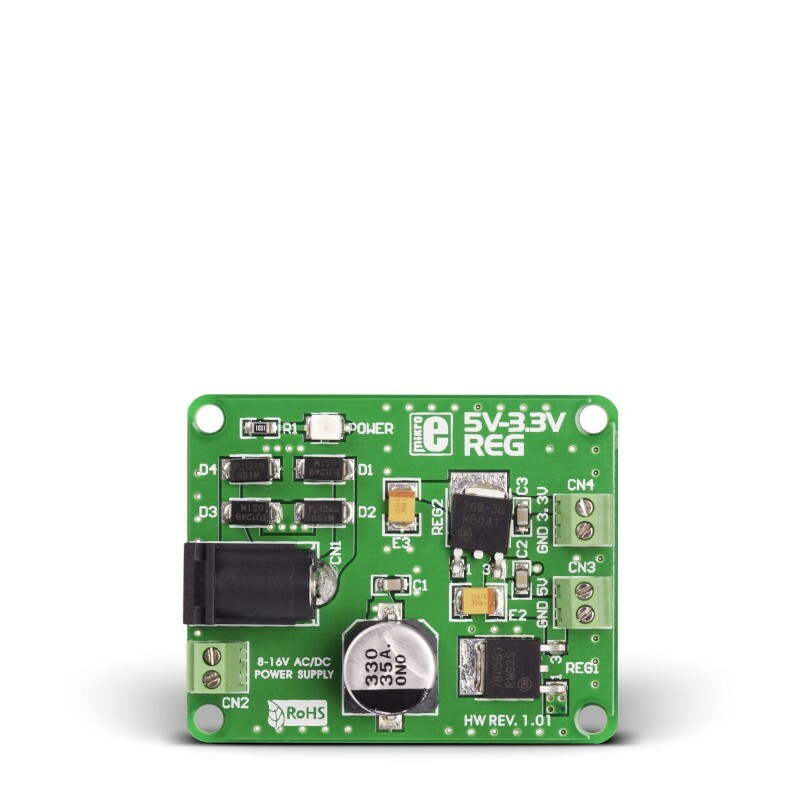 It can operate on 8-16V AC/DC power supply and has separate screw terminals for 3.3V and 5V outputs. Key Benefits No soldering required due to screw terminals. Compact and small in size, easy to interface.